Already this term, I have been at conferences across the country meeting our Ofsted Inspectors and Her Majesty’s Inspectors. We reflected on the first term of inspections under the new framework and how the new ways of working were bedding in. As I said on Twitter, my main message to all our inspectors was “Don't stop thinking like a good teacher or leader – remember what's practically possible”. 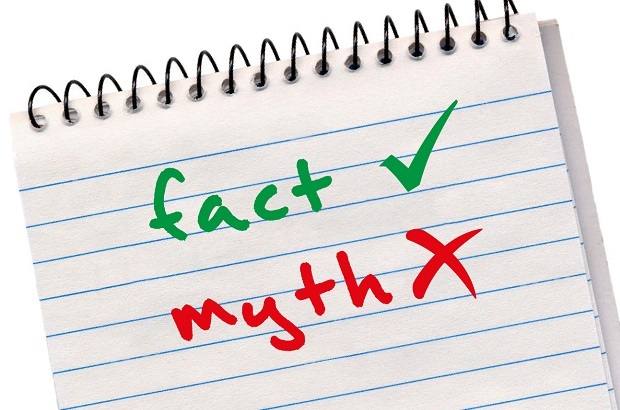 In a similar vein, we’re continuing to dispel myths about what our inspectors 'expect' to see or read when they visit a school, as set out in our clarifications document Ofsted inspection: myths. It’s really important that people understand what our inspectors do and don't look at, or expect, when we inspect. So from today, we’re publishing a series of videos featuring our Regional Director for London, Mike Sheridan and our Deputy Director for Schools, Joanna Hall. The short films tackle specific myths around marking and pupil feedback, lesson planning, grading and observation. By enabling leaders and teachers to have a better understanding of how inspections work, we aim to help inspection improve your work, not be a burden. If teachers are told that the reason for doing something is 'because Ofsted wants it’, we want to be even clearer on whether that is the case or not – invariably it will not! Finally, it’s now been six months since we started this blog, and it’s great to see that the number of people reading our posts is increasing month by month. I’d welcome your thoughts and suggestions in the comments box on what other topics or issues you’d like us to cover or clarify through this blog in the future. Please share the links to this blog, the Ofsted myths document, and the videos with your colleagues and other contacts, adding #OfstedMyths. The timescales for inspections seem a long way out. I thought schools who were judged good at their last inspection could expect a short inspection at around the three year mark. This is clearly not happening? I understand that scheduling involves a risk assessment and if things seem fine the inspection may be put back, but for how long? Some real clarity about this would be appreciated! It's very encouraging to hear some of the messages about inspection from Sean Harford, let's hope the HMIs and inspectors embrace this and the process is more productive for schools. The videos are private... must be something secretive !!!! Andrew - Hope you got our direct message with correct links. Apologies - We also noticed that technical glitch when we first published the films and that was resolved straightaway. How can I feel refreshed and get rest when I've had Ofsted looming for over 12 months? Do you know what it's like to be told you are RI, 'doing well' after 12 weeks and then completely ignored for 2 years? What you want from me as a leader of learning changes at least once a term. At least I have the children and staff to keep me going. The real myth? That inspectors are competent to do their work. I do remember the good old days when OFSTED was of value. My first OFSTED in 1995 was resulted in informative, encouraging and useful suggestions on way to improve, and back up help to allow this to happen. The school did improve, and we felt grateful to OFSTED. So what went wrong? Where, when and why did it all change? Please could you tell me the time span for a school that was last graded as RI (in March 2014)? Stephen, Tina, Claire: Thanks for your questions/comments. We'll be posting our next blog shortly to respond to speculation around inspection time spans. I have read that consultation feedback will be shared through face-to-face seminars this spring. Will a summary of feedback also be published, and if so, when can we expect to be able to access this? Christopher - We are aiming to publish the consultation report in early March. After a prolonged period of time (well over a decade), during which inspectors (Ofsted) have used a range of different terms when reporting on special educational needs, disability and/or learning difficulties, additional needs etc. (in school/setting inspection reports, thematic survey reports), I note that inspectors have now been told to be consistent. Please note, when reporting on pupils who have a disability or have special educational needs, we should use the terminology ‘special educational needs and disabilities’ or ‘SEND’ in inspection reports, in order to reflect the words used in the revised special educational needs and disability code of practice. Please do not use the phrase ‘pupils who have a disability or have special educational needs’ or ‘DSEN’. * Sean Harford (HMI, Director, School Inspection) School Inspection Update, March 2016 (6), p.8. On behalf of SENCOs working in schools and SENCOs/learning support coordinators working in further education contexts I would like to know if a continuity of terminology will be applied to reporting in the post-16 sector? A new Ofsted report (March 2016), Moving Forward? How well the further education and skills sector is preparing young people with high needs for adult life, uses a 'mix' of post-16 and school terminology (e.g. on p.25 "... the age of 25 for disabled learners and those with special educational needs"). - embedding guidance in the Special Educational Needs Code of Practice (2015). Will inspectors check that the SENCO is a qualified teacher (with QTS)? Will inspectors check that new to role SENCOs are undertaking the National Award for Special Educational Needs Coordination (qualification to be achieved within three years of taking up SENCO post)? Will inspectors monitor how academy trust and other schools working in partnership 'share' a SENCO across school settings? The Code of Practice (6.92 - 6.94) states that this practice can only take place in smaller primary schools (smaller is not defined). If 'compliance' is being monitored, is it being done systematically, and what consequences follow in instances of non-compliance. Chris: All inspectors have received training on the SEND Code of Practice and the implications for school inspections. During full or short inspections they may check that the SENCo is an appropriately qualified person if this is identified as a concern or key line of enquiry. Specific questions such as: is the SENCo a qualified teacher or are they undertaking the national award, may be asked as all mainstream schools need to comply with the SEND Code of Practice. Many schools will have already provided this information as part of their SEND policy or information report published on the school’s website. Inspectors will check this as part of their pre inspection preparation and may not need to ask any further questions. The school’s SEND policy should identify if a SENCo is shared with another school. Inspectors would then check that this arrangement was working successfully and that the SENCo had sufficient time and resources made available to support the needs of SEND pupils at both schools. Inspectors are mindful of compliance issues when judging the overall effectiveness of the provider. If they had evidence that the school were not complying with the Code of Practice or any other statutory guidance this would be reported on and would be likely to influence the judgements made for leadership and management and the overall effectiveness of the school. Thank you very much for raising this - I'll look in to it. We have just been inspected....everything good to outstanding but yet we got RI because of data..what does that mean. Hi Sharron, We would need more information to give a considered response, but even then we're not able to comment on an individual inspection. Sorry we can't assist. Somewhere in my memory of Ofsted myths is the belief that a school with a new headteacher will not be inspected until after the new head has been in place for twelve months.. is that right or have I imagined it ? Schools judged to require improvement will be re-inspected under section 5 usually no later than the end of the term in which the 24th month after the publication of the report falls. In schools judged to require improvement where a new headteacher joins the school after the section 5 judgement, the school will be re-inspected no later than 30 months after the publication of the previous report. If a school we are considering for our child is judged as "outstanding" (8 years ago), how long approximately until the next inspection please? Hi, You are correct, in that Sprotbrough Orchard Infant school was last inspected in March 2009, and it was judged to be ‘Outstanding’. Schools that are judged to be ‘Outstanding’ at their most recent inspection are exempt from routine inspection. However, Ofsted may inspect the school (under section 8 of the Education Act 2005) if Her Majesty’s Chief Inspector or the Secretary of State for Education has concerns about their performance. We formally carry out a risk assessment of exempt schools three years after their most recent full inspection and regularly thereafter, but do not publish a report. If a section 8 inspection is completed, the published report will be available on Ofsted’s report website.